There you will see steam billowing from the end of each carriage. Early morning light makes it easy to see. 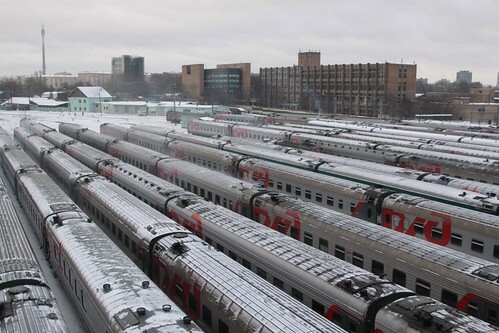 And the smell is especially noticeable where sleeping carriages are stored and cleaned. 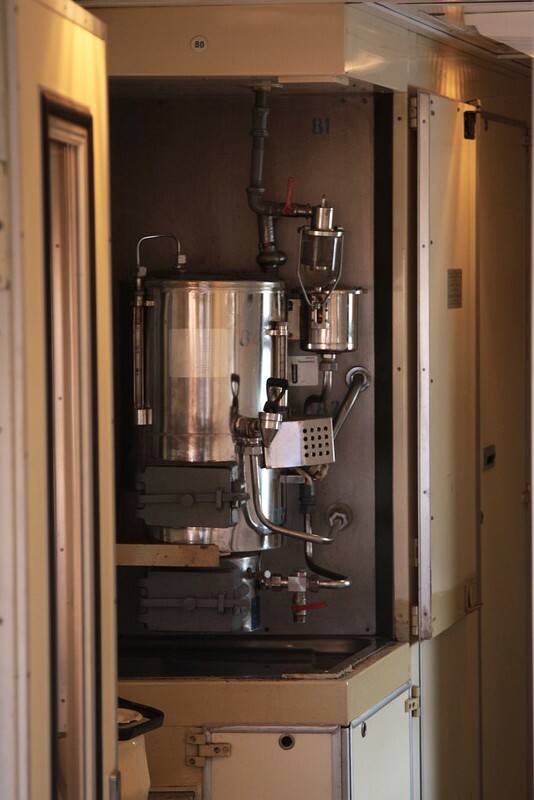 The reason for the smell and steam – the coal fired stove found at the end of each sleeping carriage. 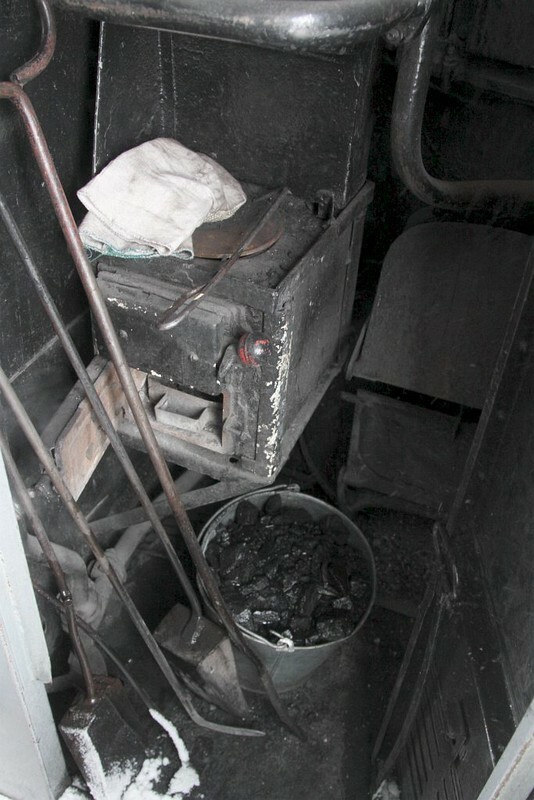 The stove is used to heat water – to warm the carriage. And keep the samovar full of boiling water. 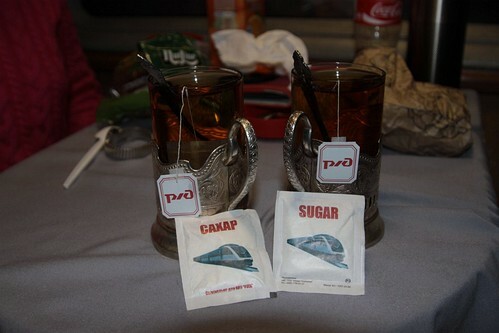 A samovar is an essential part of Russian tea culture. 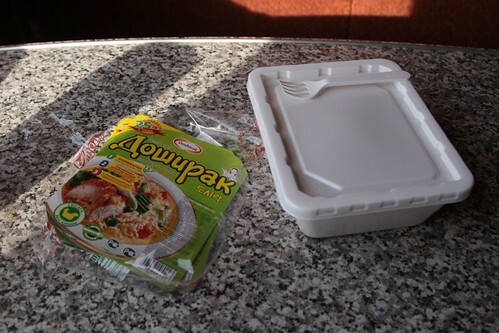 As well as the modern innovation that is instant noodles. 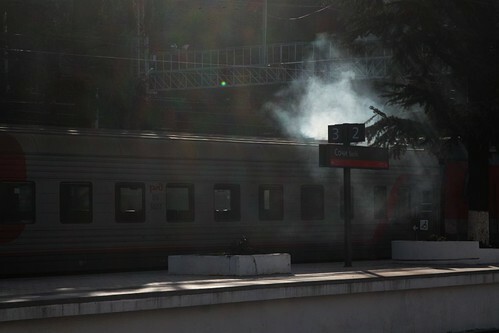 The carriage attendants called a ‘provodnik’ (male) or ‘provodnitsa’ (female) are responsible for keeping the coal stove running, as well as checking tickets and tending to passengers. 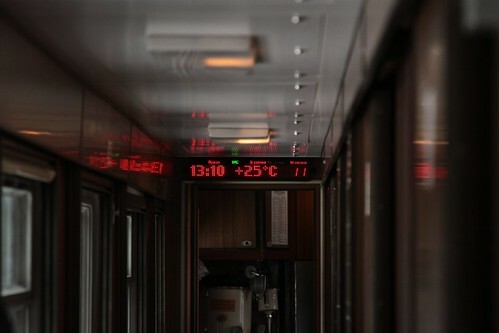 According to this article in the Global Times, during the nine-month long winter season, one carriage needs to burn a total of six tons of coal. However times are changing, and in 2013 moves were made to replace coal with biofuel pellets, with around 300 carriages being so equipped. 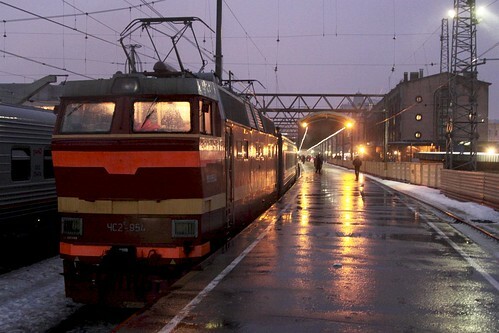 On electrified railway routes, carriages are equipped with electric heating: they are fed by the 3 kV DC overhead voltage on DC lines, or 3 kV AC voltage via the locomotive transformer on AC lines. 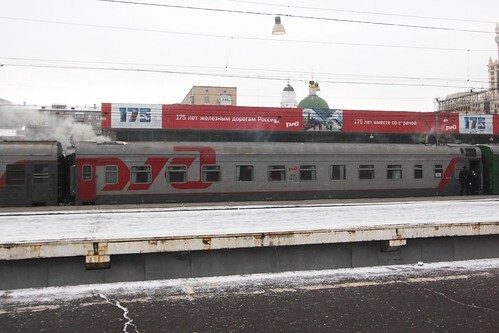 This entry was posted in Trains and tagged coal, food and drink, instant noodles, railway electrification, Russia, Russian Railways, tea, winter. Bookmark the permalink.